Blog > Ask Dr. Z: Runtime Errors? Ask Dr. Z: Runtime Errors? OK Dr. Z, I’ve seen you help others so help me. My computer keeps giving me runtime errors when I try to use certain programs and it’s annoying. I don’t know what a runtime error is, or the cause. A little guidance? Thanks! Runtime errors are annoying, and unfortunately they’re fairly common on Windows operating systems. Runtime errors occur when there is a miscommunication between the program you’re running and the computer, for various reasons. Each particular runtime error has it’s own specific code. There’s a basic rundown below, but if you’d like to get deep into the terminology, contact us anytime. The consequences of runtime errors include losing information from a program, corrupting a file, or preventing you from utilizing a Windows feature. 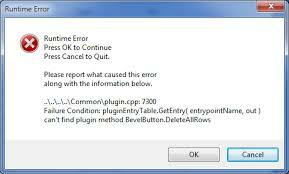 Many times, the “blame” for the runtime error is on the program’s side. These are simple to manage, because you can always reinstall a program, look for updates or download the appropriate version. When the issue lies with your computers RAM, that’s when it’s time to upgrade! We’ve discussed that before. Also consider that many viruses will effect your computer memory, which in turn causes runtime errors. Ensure that your antivirus program is running up to date, and if you aren’t running one, get one! As you can see, the overwhelming amount of runtime errors are caused by coding issues within applications. Check to see if the program you’re running has any updates or drivers that address the runtime error. If not, reinstall whatever program engenders the error. Many times, a clean installation will rid whatever is causing the discrepancy between the program and CPU. As far as the memory codes go, if you’re unsure about how much memory you have, determine how much RAM is on your computer by viewing the system properties. 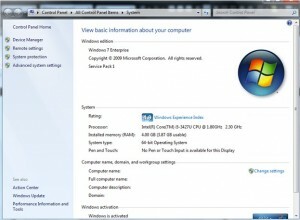 Right-click on “My Computer” from your desktop or start menu, then click “System properties”. This will show you the installed RAM. If you have lower RAM available than the program’s system requirements, you will have to retrieve more RAM before operating it. Also, if you have lower than 500MB of disk space, your hard drive sectors don’t have enough room to operate. You may need more RAM and hard drive space. It sounds a little confusing, but I hope I helped Nathan. Runtime errors seem mysterious, but generally reinstalling the program or adding RAM will cure the issue. Also though, run virus scans to make sure malware isn’t the culprit.